Manufacturer & Exporter of Shade Ivory PVC Coated Aluminium and GI Sheets. 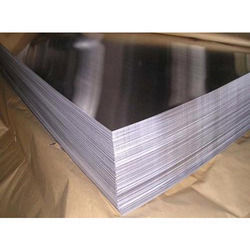 Our product range also comprises of PVC Laminated GI Sheets, PVC Laminated Aluminium Sheets and PVC Coated Aluminum and GI Sheets. We are a remarkable organization, engaged in offering an excellent array of Shade Ivory PVC Coated Aluminium Sheets to our valuable clients. Flashing may be exposed or concealed. Moreover, exposed flashing is usually of a sheet metal and concealed flashing may be metal or a flexible, adhesive backed particularly around wall penetrations such as window and door openings. These sheets are beautifully designed by skilled and trained designers. Furthermore, our offered products are available in various designs as per the requirements of our respected clients. Looking for Shade Ivory PVC Coated Aluminium and GI Sheets ?